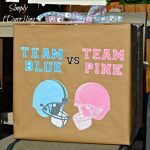 A couple weeks ago I attended a baby shower for a good friend who is having twin girls! Once I found out that she was having twins I started thinking about fun onesie ideas that I could make. I decided on 4 different sets, and then put them in a gift basket with a few other little items. 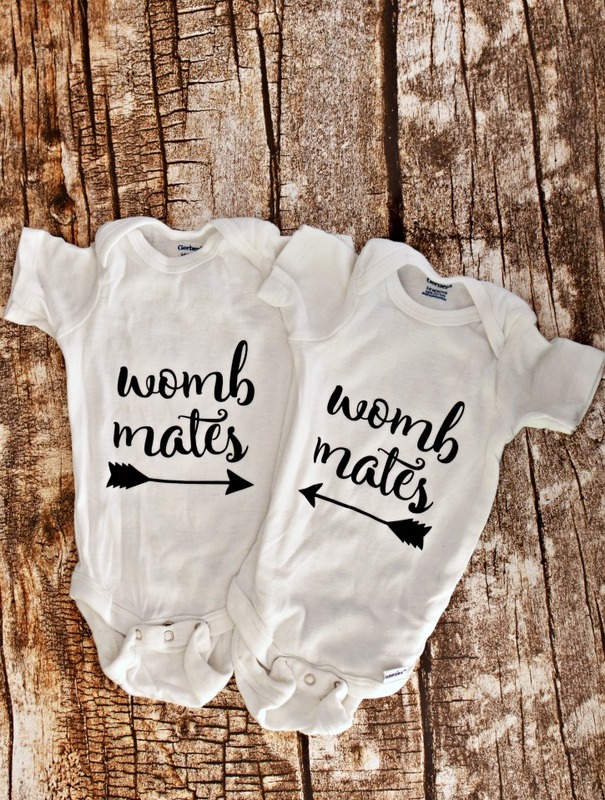 These onesies for a twin baby shower are absolutely hilarious, and are sure to be a hit with the mom, friends, and family. 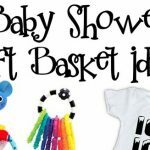 Make sure to check out my post on creating a baby shower gift basket if you are headed to a shower and need some other ideas. Whenever I make Onesies for baby showers, I like to gift a variety of sizes since babies don’t stay in one size very long. If you are looking to make some of your own, this variety pack would be a great option. I pulled out my Silhouette Cameo and some Heat Transfer Vinyl to make these adorable outfits. My goal was to make all of these outfits have a little bit of humor on all of them, because parents of infants could definitely use a bit of humor. First up, we have “Womb Mates”. I imagine that these girls will be BFFs for life, starting from the womb. My friend said that each time they have seen the girls on an ultrasound, they are all nestled up with each other. I imagine that while wearing these onesies won’t be the only time that these two lovely girls are called “this one” and “that one” by their parents (especially at 3am when they haven’t slept in days). Buy One, Get One Free! Well, not exactly, but it is still pretty funny. 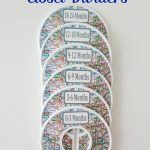 These friends have been on quite the adventure to become parents They have been open about this journey so I wanted to make one set which honored this journey, with a little bit of humor added. I can’t wait to meet these two little girls when they make their appearance in a couple months. 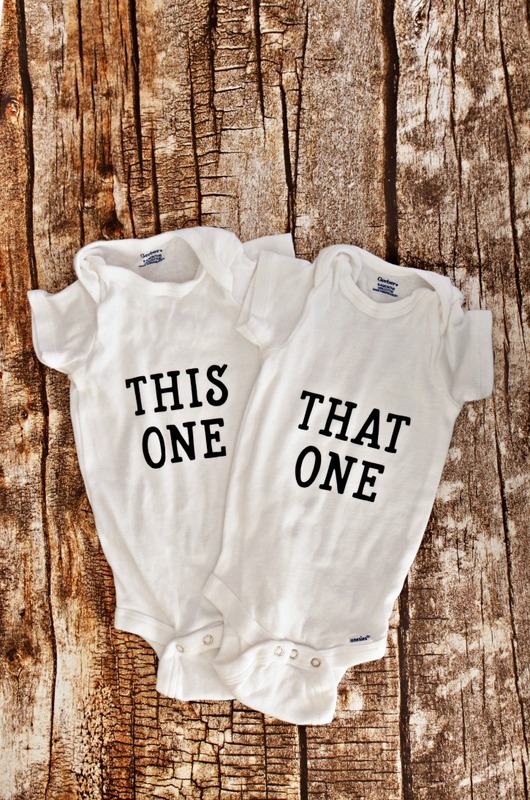 What sort of sayings would you put on a onesie for twins? Those are sooo adorable!! Love it. 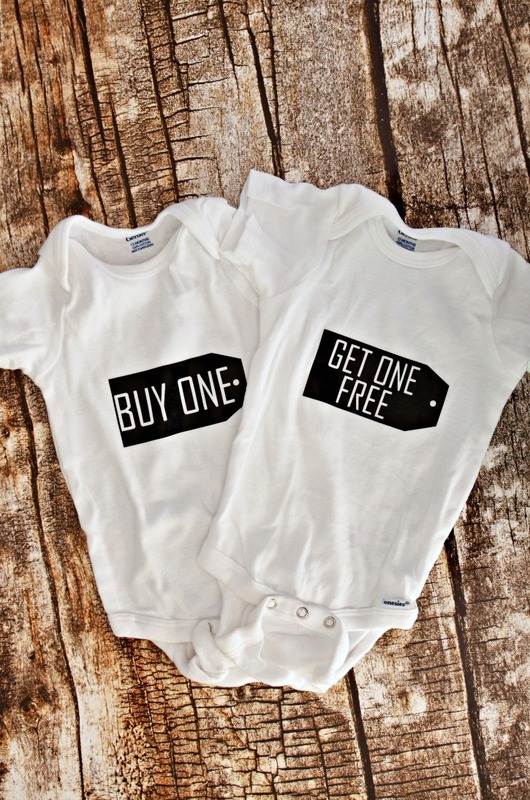 The “Buy One, Get One Free” onesies are so funny! 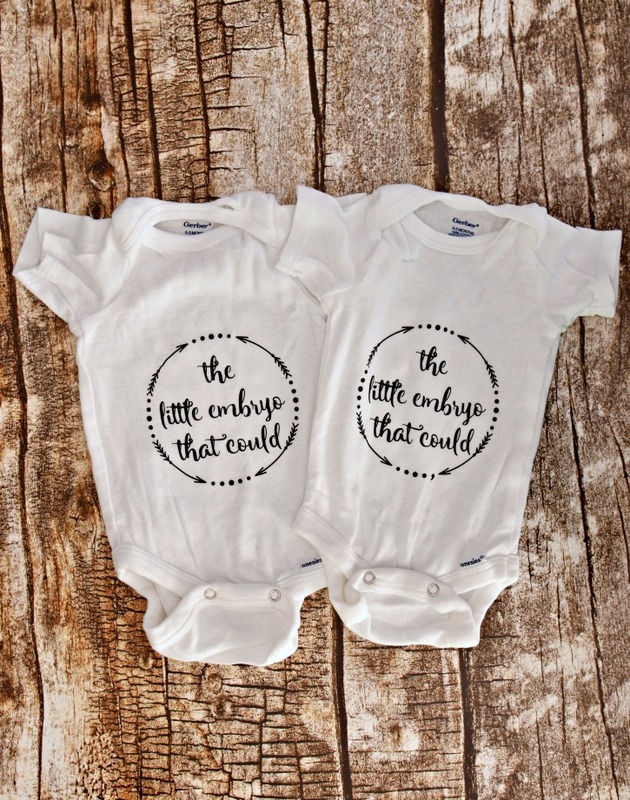 Oh those onesies are too cute!!!! Twins! How fun! My bestie is having twins too! I need to show her these!! These are so adorable! I’m all about twinning since I have younger sisters that are twins! Those are so fun and cute! aww, i love the bo/go. so cute. Your onesies are too cute. 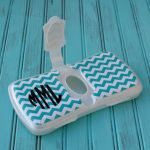 I always like to take homemade gifts for events and they are always so popular. Thanks for joining us at #HomeMattersParty, hope you will join us again this Friday. Do you sell these. I don’t have the necessary silhouette maker?